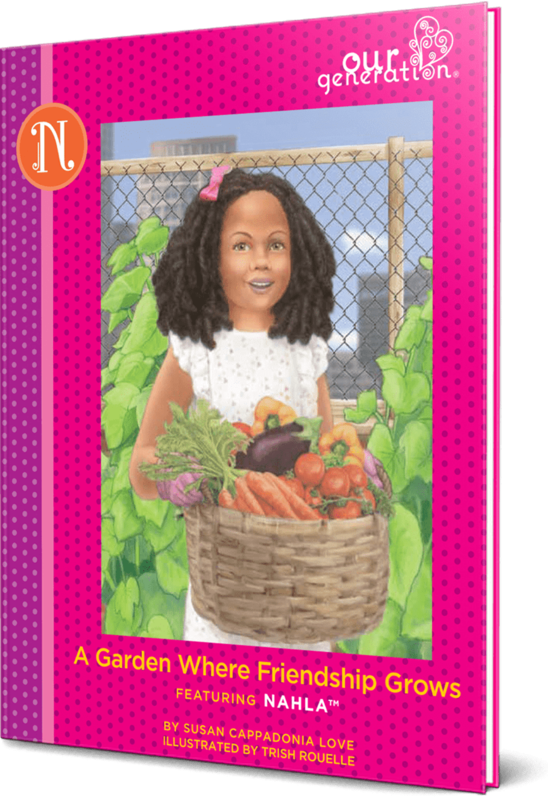 Follow along with Nahla’s adventures in the storybook “A Garden Where Friendship Grows” in the Our Generation Read & Play Set – Nahla Book & Outfit! Because this generation of girls is certainly an exceptional one. We’re in it for each other and the world. 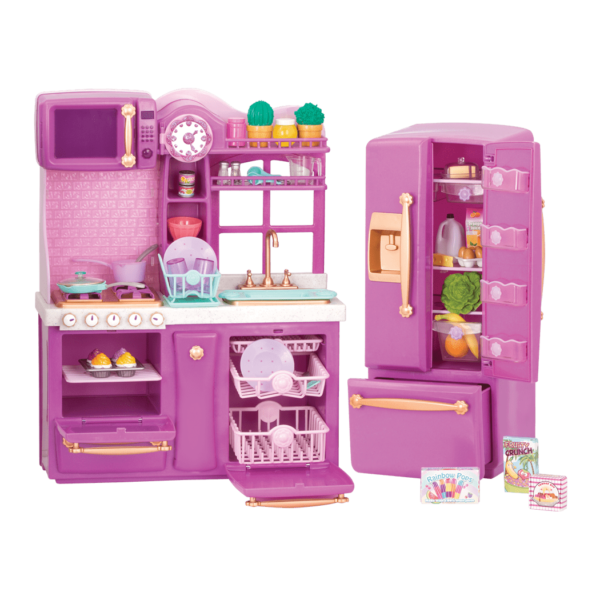 We’re helping our families learn to recycle, opening lemonade stands (even when a kind word is payment enough), and collecting toys for kids who aren’t as lucky as we are. But we also find time for loads of fun. What’s over the horizon for us? Probably adventures we can’t even imagine yet. This is our time. This is our story. We have a lot of stories to share, and all the outfits to match! 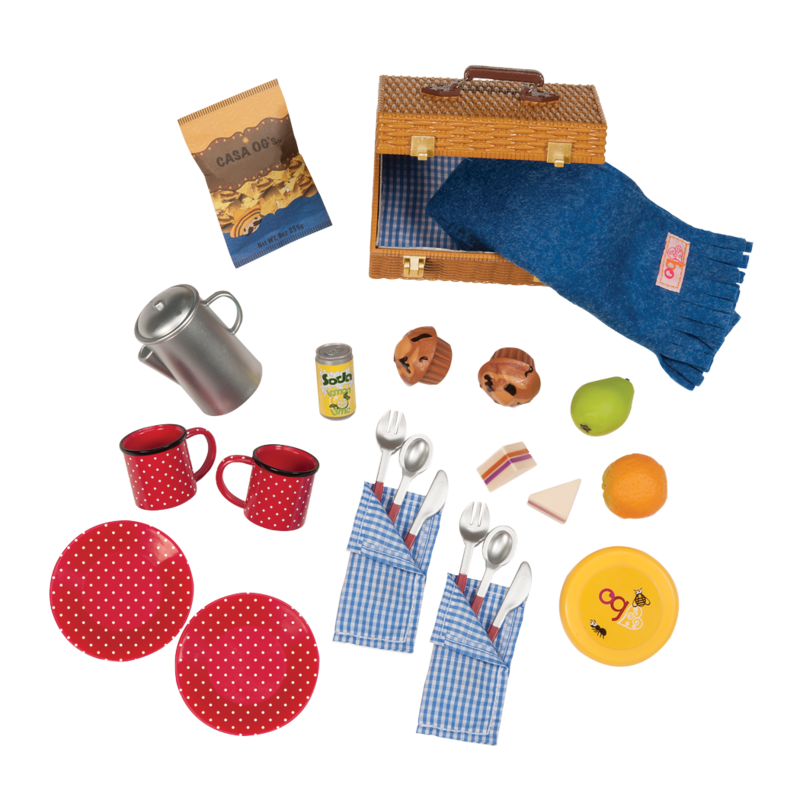 This accessory set for 18-inch dolls lets any doll enjoy gardening fun! 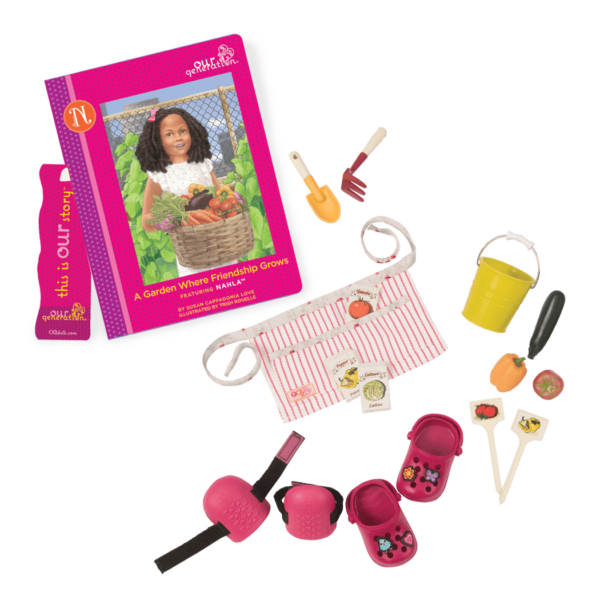 Dress your favorite 18-inch doll in Nahla’s signature gardening outfit featuring a pink and white striped gardening apron, kneepads to help your doll kneel in the garden, and garden shoes. 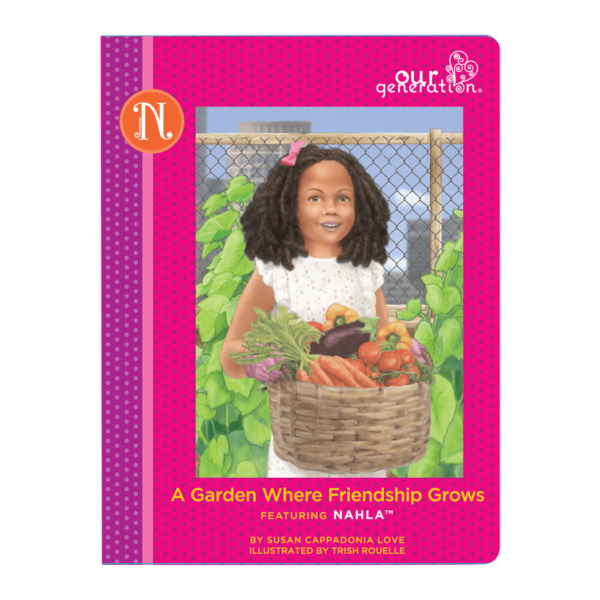 With the storybook “A Garden Where Friendship Grows”, read about Nahla’s adventures as she learns about gardening and making friends at a new school. This easy-to-read book is suitable for younger readers and also makes a great bedtime story. 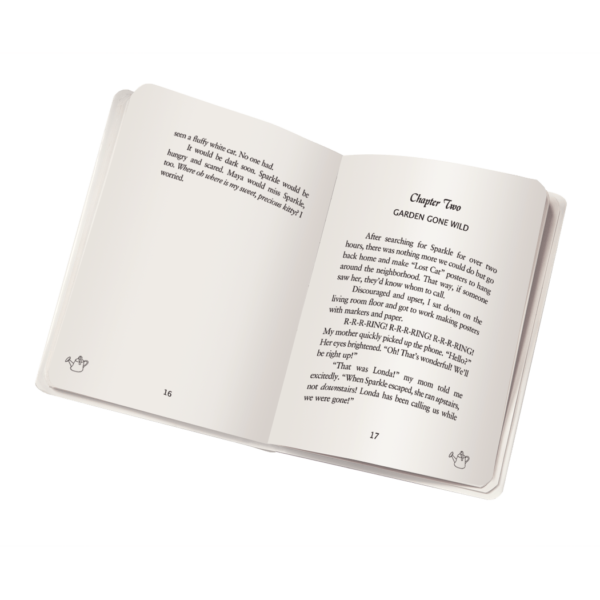 Chapters let you easily pause in your reading along the way. Create your own stories with this inspiring collection! 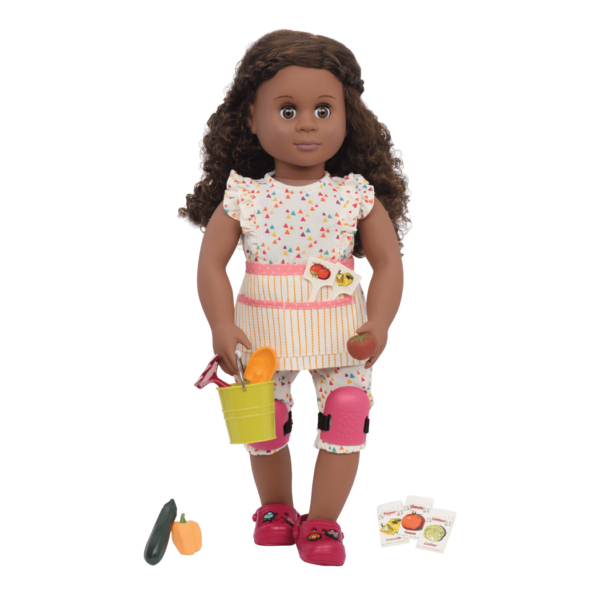 You can dress any 18-inch doll in this great gardening outfit, like Clementine, a beautiful 18-inch doll with long, straight red hair and blue eyes. She loves gardening, just like Nahla! A few tiny seeds have grown into a very big idea! Nahla'sTM science project turns out to be the start of a group garden on her school's rooftop. During their lunch hour, students put on their gardening gloves to plant, weed and water.